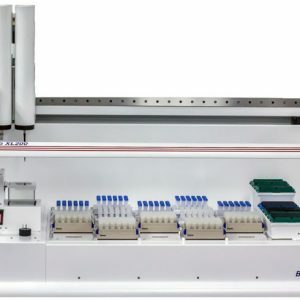 ArcticWhite offers the BioMicroLab robotic platforms for tube handling, liquid handling, weighing, barcode reading, labeling, and more for tube racks with a wide range of tube/vial volume, height, and XY format. Included in the offering are the XL Series of reliable, flexible and affordable robotic pick and place systems that automate critical sample management tasks such as organizing, reformatting and analyzing samples. They are standardized platforms with liquid handling, tube weighing, sample identification, verification, tube label printing and application, and capping/de-capping. 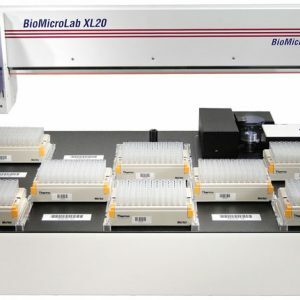 All of the BioMicroLab products are designed to provide fast sample processing, unattended operation, and robust sample management to eliminate the problems with manual, repetitive tasks. The XL20, XL9 Tube Handler Systems, and the XL100 and XL200 Tube & Vial Handler Systems are fully compatible with LIMS systems, easily integrating with your laboratory’s high performance needs and multiple labware formats. XL LabelPro to print and/or apply – NEW! 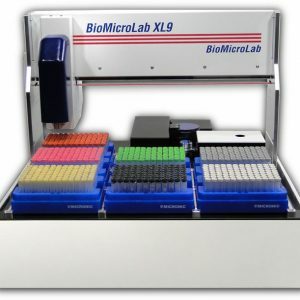 The XL9 has all the Features, Automation Benefits, Operation, Throughput, Labware Compatibility, and Optional Configurations of the XL20. To review the Features and Benefits of the XL20, click here. 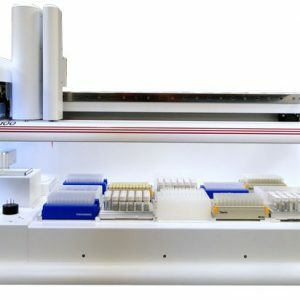 The XL100 has all the Features, Auotmation Benefits, Operation, Throughput, Labware Compatibility, and Optional Configurations of the XL200. To review the Features and Benefits of the XL200, click here.